Whether you need a few yards of soil or gravel to be spread around, need to get rid of some annoying tree stumps, or simply want the whole yard graded or demoed but aren't sure how to do it, then let us run the machines for you! With years of experience and specialized training we can dig and move the earth with the best of them. We are certified and ticketed bobcat and excavator operators and we own our own reliable equipment that can climb any slope in any weather. Can we work through the mud and rainy days? No problem. 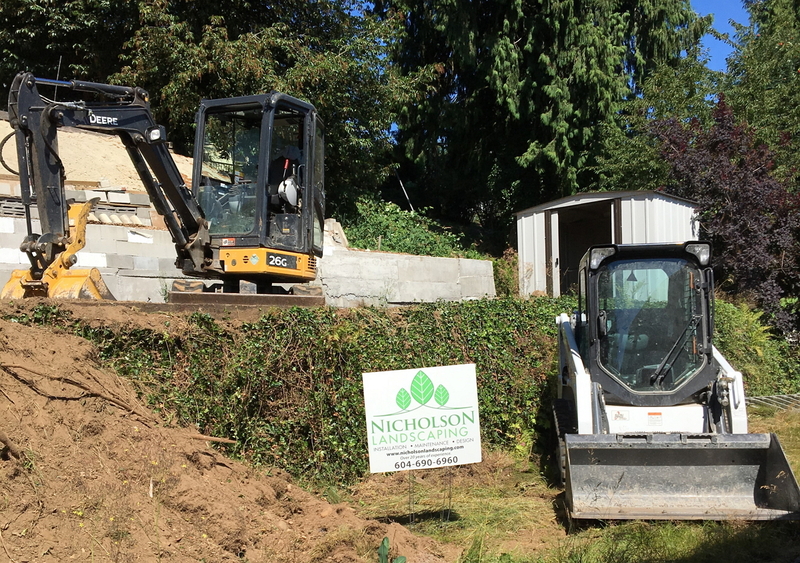 Nicholson Landscaping goes the extra mile to repair any grass damage, due to machine access, with every job. Power washing the driveway and city streets is included after every job completion. 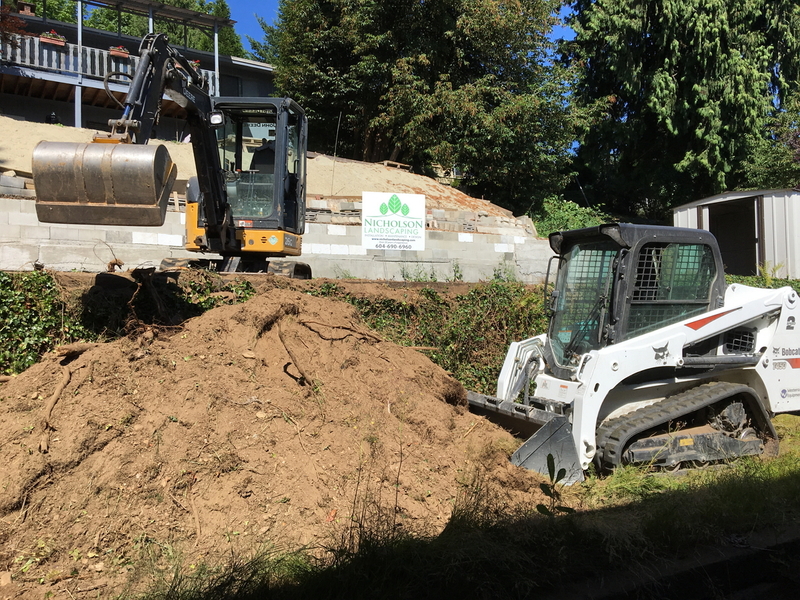 We provide more than your average excavation company, as we are landscapers, that know how to transplant large plants and trees and protect grass and other areas with plywood and plastic coverings. We own our own dump trucks and employ mature drivers with years of driving experience. Consider hiring a landscaper for your excavation needs.